On Monday October 4th, head down to the Toronto Fashion Incubator’s Pop-Up Shop to help support local designers and shop for clothing, jewellery and accessories. 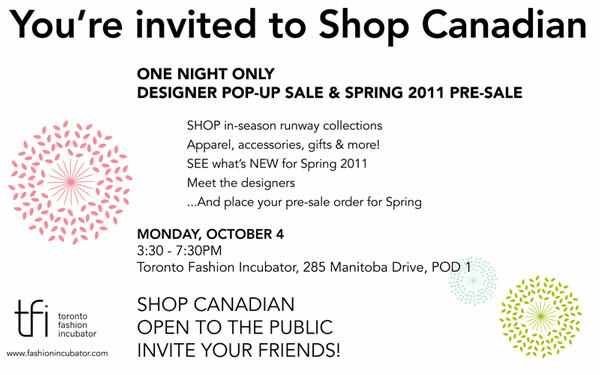 Meet the designers, buy this seasons merchandise and get a sneak preview of the spring 2011 merchandise. Best of all your supporting Canadian talent!